Family.. how I love you dearly! Just another thanks for your sweet emails and for the time you take to keep me informed on your lives (: I am grateful for you! We should start off with the good! We had an attendance of 108 and it was a beautiful SUNNY SUNDAY. However, not one of the 108 were any of our investigators. Ugh! Well there is always this week right? We are hoping for another Sunny Sunday this week. We have been having like a little summer in the middle of winter lately, it has been real nice. We were able to go the temple this past week and it went really good. We were witnesses for the baptisms. It was a trip with all the new members or members that have recently just re-activated. It was super cool, we were able to hear from them that went for the first time to the temple in sacrament meeting. They were able to bear their testimony of the experience and encourage others to take the same steps and make it to the temple. After reading the email that mom sent me.... she mentioned a re-focus. This past week we weren't able to reach a goal. We are wasting too much time with people that don't need our help. We need to re-focus. I would invite you guys to do the same.... re-focus your lives. Like Mom said, we just get caught up in the times and we get moving in all different directions. We need to take a step back and change things. If we aren't reading the Book of Mormon daily, read! If we aren't saying daily prayers, pray! If we haven't gone to the temple lately.... go! I have noticed that even as a missionary I get caught up in the motions. I have been going through the motions lately.... I need to change. We are going to change some things tomorrow in our planning to have a better week. 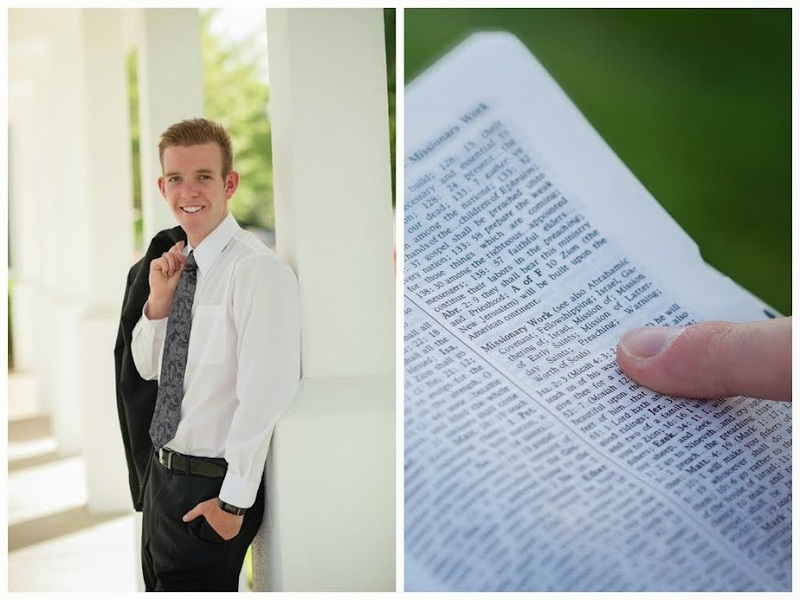 Elder Taylor Abel, one happy and changing missionary! How are you all doing? It was soo good to hear from you all, your emails were all especially good today! I loved each and every word that you guys had to say.. you guys rock my world! This past week went by lots better. It was a long week but a good week for sure. I found that I was able to really enjoy myself and the work more with finding the love in my companion. Thank you for your help in the process. As crazy as my comp is, I have been able to find a love for the guy. In our Step 13 of our weekly planning, I took a few minutes to apologize. He said that he hadn't even noticed that I was being closed or that I wasn't completely happy. However, I knew I was wrong and it felt so good to apologize to him. He was confused at the beginning but we were able to have a real heart to heart chat and he even mentioned that in the beginning he didn't want to be my comp. He said that he didn't want to come to Cerro to be my junior comp., but he then said that he was grateful for the change. I too am grateful for the change and for the things that I have learned. I have found that each week this change, we have hit one of our goals. I love it! This last week in the church we were able to get back above 100! President Smith was among the 104 however, Josefina and Sebastian weren't. With Josefina, we had it all planned out to go and pick her up and bring her to church but we received a text from her mom notifying that she wouldn't be able to go... bummer! With Sebastian... well, we thought that his girlfriend would help him get to church but we need to help him more so he can make it to church! As for the family of 5 - we thought we would be seeing them but they didn't show up. We taught the Book of Mormon this past week and it went really good. They are both feeling better after the accident they were in so we are hoping that after a charla this week we can see them in the church. Church has been really good lately though. I have been able to really feel the Spirit. It is hard with the way people teach here in Uruguay but the ward here seems to know what they are doing! Hermana Maria Almada taught of the Bible and said something really cool..... that we wouldn't have our church if it weren't for the Bible and the studies of Joseph Smith in the Bible. It made me really think when she said that. Then, Hermano Diaz said something that I loved. ¨The way isn't easy but it is the only true way.¨ So true. Well, in closing.. I would just like to thank you for all that you do. I can´t believe that yesterday I hit 13 months.. I am living life in the fast lane.. time is flying. You guys are my best friends and I am grateful for each of you. I love you soo much! Have a wonderful week.. do me a favor and SMILE! How are you guys all doing?! Thank you all for the pictures that you sent and for the love and advice that you have shared. I have found the answer to my problem! Yes you read that right.. my problem. It had nothing to do with my companion.. it was all me. Lord, was it I?.. Yes. I hadn´t been quite sure how to help him, in fact, I was kind of down about the change in companions because Elder Huntsman and I got along so well and the work was going really well. I was hoping to receive an email from President Smith last week but it never came.. however, I took it to our Heavenly Father in how I could help Elder Figallo. I actually received an answer yesterday in the Zone Conference with what the other missionaries shared (about the book John in the Bible) and the things that President shared. We need to love our comps. That was the thing that I was lacking these first 2 weeks. I just didn't love him like I should have. I am now in the process of loving him as I should..... loving him as our Father in Heaven loves him. Thank you all for what you had to say yesterday, it really helped me! As I was looking over some notes from the conference and The Fourth Missionary last night, I came to realize how much I love the mission. It is so great, it is not easy but man oh man it is so worth all the trials. I think that for the first part of the change, I had lost my motto for my mission ¨Come What May and Love it!. I can honestly say that I had a change of heart like it mentions in Alma 5. There was a lot of things that really helped me in my thinking this week and I am so grateful for each one of these things. It started with a conversation with Hermano Cuadrado about life. He said 2 things that I will never forget, ¨We are quick to criticize and late to help. We are here to serve, not to be served." I loved it. Another factor was the conference that we had with President and the things that he shared with us. Also, my late night studying and pondering, as well as my trip to the temple this morning to start the P-day. I know that God answers our prayers. It may take awhile and it make take a lot of effort, but He listens. He cares. He loves each of you. I finally did receive a response from President Smith though: I just thought he needed a great example of what it looks like to love the mission and be obedient with exactness - he has enormous potential but justifies his lack of exactness in obedience. He can be so much more that he has allowed himself to be - can you help him? To answer his question, I would love to help Elder Figallo. This week went pretty good! We are figuring things out here in Cerro 8. We received a reference from Hermano Cuadrado that was gold. It is a family of 5 who are looking for God in their lives after the parents were in a car accident. The car accident just really shook up the wife. The family consists of the parents and their 3 kids who are 12 and younger. We had a very spiritual charla with them and were able to bless the parents to have strength in their life physically and spiritually.. we are looking forward to our next charla with them Thursday. That was the highlight of the week as we were able to help them find God through The Restoration. Your prayers were heard here because we had a Sunny Sunday. However, the hearts of the people are in the dark.... only 79 people made it to sacrament on Sunday. Joesfina nor Sebastian were included.... kind of a bummer but onward and upward right!? I am immensely grateful for you wonderful people in my life, for the things that you do for me. I am so grateful for your influence and for the love and support that you express to me. I am one lucky missionary and one happy missionary! I love you all♥ Have a great week and find the things this week that will help you smile more often! A great time at the temple! Things here in Uruguay have been going pretty good. We were able to have some good charlas and find some new people! Unfortunately the sun wasn´t enough this weekend to beat out the cold humid air in Cerro. We had an attendance of 78.. weather just needs to be absolutely perfect for them to head to the church. How sad! It makes us so sad to see that the weather keeps them away from renewing their covenants with their Heavenly Father. Things with Josefina went really good. One of the first charlas with Elder Figallo here in Cerro 8 and we were able to put a goal down for a baptism on the 15th of August for Josefina. Now the challenge is just getting her and her family to the church! Challenge accepted (: Other than her, we are still working with some other prospects. Mario and Sebastian. We shall see what happens with them though. The good ole compie. To be honest, I am missing Elder Huntsman. In our last hug before we got our new comps I held some tears back. We just had so much fun and were able enjoy the work! 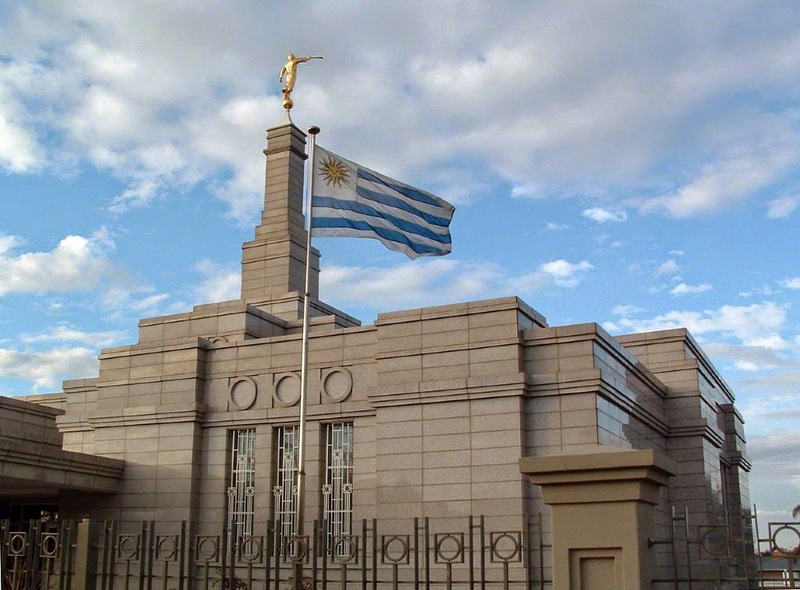 Elder Figallo is from Lima, Peru. He is 21 years old and has 15 months in the mission. I am going into the change with patience in my heart. It will be a change where I will be able to get closer to our Heavenly Father and for that I am a grateful Elder. Plus. I can´t forget my "Come What May and Love It!" theme. It must be time for me to learn that it isn't always about me but it is about the needs of others. Family! You guys are too good to me. I am so grateful for you...for your love and your support in all that I do. You all just seem to brighten my week. I love you! Have a wonderful week and keep on smiling..... after all we are living the Plan of Happiness!